Being viewed as increasingly innovative, the Polish food and drink market witnessed a wave of inspirational food and drink launches throughout 2015. 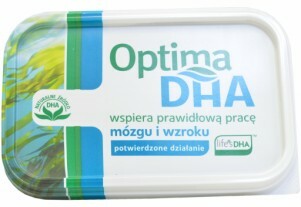 In June 2015, ZT Kruszwica/Bunge Polska launched Optima DHA, a new margarine enriched with marine algae oil. The packaging of Optima DHA features a ‘life’s DHA’ label (the trademark of the supplier DSM) to highlight the algae-derived DHA content and to validate brain and eye health claims. Cognitive health benefits could be used to address the needs of older consumers in particular, as almost a third of over-55s in Poland, more than other age groups, claim to use functional food and drinks to support and maintain brain health. In early 2015, Bakoma launched a new range aimed at men under the Bakoma Pro Men name. The products contain 18.4g of milk protein per serving of 230g and are targeted at male consumers who engage in sports activities and wish to build muscle. Using protein claims in yogurt addressed to men could be explored more boldly as almost six in 10 male consumers in Poland would like to see a wider selection of high-protein yogurts. Moreover, the understanding of protein and its function is high in Poland as reported by four in five men. 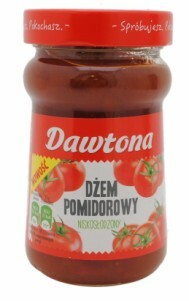 In September 2015, ZPOW Dawtona launched Dawtona Dżem Pomiorowy – a tomato jam. The new product is made with Polish tomatoes and is low in sugar. It retails in a 280g jar. Being well-established in Mediterranean cuisine, tomato-based jams are a novelty in Poland. Nonetheless, the new development taps into the growing trend of providing consumers with unique flavours and new taste experiences, including sweet and savoury hybrids. According to the manufacturer, its new tomato-based jam fits into various consumption occasions throughout the day. It could be used on sandwiches, served with snacks and/or used in cooking and baking. 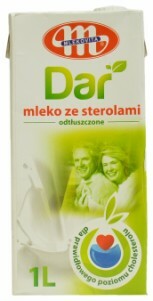 In September 2015, SM Mlekovita launched Mlekovita Dar, a new functional white milk variety which is enriched with plant sterols for maintaining healthy cholesterol levels. Although no overt demographic claims are used on the packaging, it does, however, feature a mature couple on the front. The new launch is quite unique as the use of phytosterols appears to be more common within drinking yogurt and margarines, as those categories accounted for 28% and 15% of all global food and drink innovation enriched with plant sterols/stanols introduced between January 2014 and November 2015. White milk ranked third, with an 11% share. 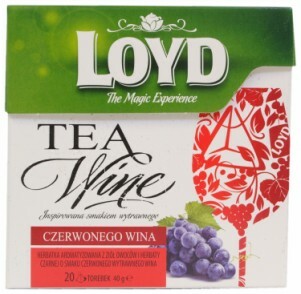 In April 2015, Mokate launched three new varieties under its Loyd brand: rosé, white and red wine flavoured teas – linking tea to being an interesting replacement for alcoholic drinks. The company describes the new teas as if they were actually wines – talking about their aromas and food pairing suggestions. The concept of combining tea with wine flavours could excite both wine connoisseurs as well as consumers looking for alcohol alternatives. 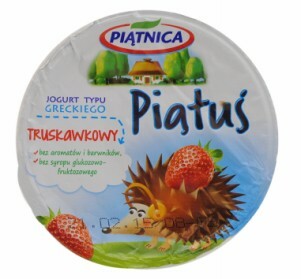 Piątuś is a Greek style yogurt for children, free from artificial flavours and colourings. Moreover, it features a ‘no HFCS’ claim, which is a novel positioning in Poland. Yet, this strategy definitely adds stand-out appeal and helps engage with health-driven parents looking for simple and easy to understand ingredients, preferably of natural origin. The allure of ancient grains, rich in nutritional and functional properties, is having an increasingly powerful impact on innovation activity across food and drink. In line with this trend, Grana expanded its Inka chicory coffee range with a new variety enriched with spelt. It has a mild taste and can be enjoyed by both adults and children over the age of three. 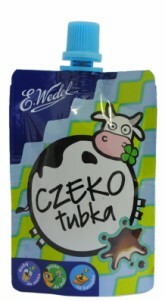 Created for young chocolate lovers, Czekotubka is a cocoa and hazelnut cream which comes in a convenient flexible pouch, perfect for lunchbox occasions as well as consumption on-the go. The new chocolatey cream can be mixed with milk, eaten on its own as well as used as a spread. Interestingly, although not explicitly communicated, this is in fact a re-launch as a similar product also called Czekotubka was launched about ten years ago. Ancient processing techniques are moving into the mainstream across various food and drink categories globally. Sprouting, the practice of germinating seeds, is receiving more and more attention as research continues to uncover various health benefits of consuming sprouted grains, including improved digestibility and nutrition. 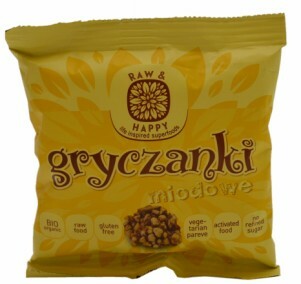 In line with this trend, Raw and Happy introduced Gryczanki - buckwheat snacks which are not only organic and raw but also free from gluten and refined sugars. Milky’s by PWC Odra is an inspiring example of combining health attributes with indulgent features. 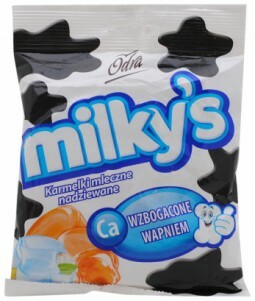 These are milk-filled candies enriched with calcium. This is an interesting approach as boiled sweets are generally viewed as tooth-unfriendly, yet this development claims to promote bone and tooth health. Despite its colourful packaging, Milky’s is not overtly targeted at children, therefore it could also appeal to experimental and health-driven adults. Honorata Jarocka is Food and Drink Analyst for Poland at Mintel, focusing on food categories with a particular interest in health and wellness trends, as well as product innovation. With almost a decade of experience in market research, Honorata has analysed various sectors in Poland, including packaged food, beauty and personal care, home care, consumer health, and pet care products.